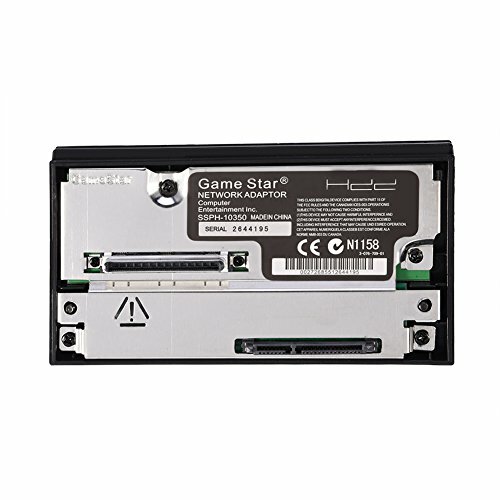 SATA network adapter for PlayStation 2 console. Use superior master control chip. Raise the anti-jamming capability and reduce the interference to other devices. One Touch Backup (OTB) function. On/Off Switch for HDD protection. Hot- swappable with Super-Speed USB 3.0 interface. Plug and play without rebooting. Connect a SATA HDD (No IDE) to your console and use loader to play games from HDD without discs. Durable ABS Material support you use it comfortable and long time . Can support up to 2TB SATA HDD (2.5" and 3.5").